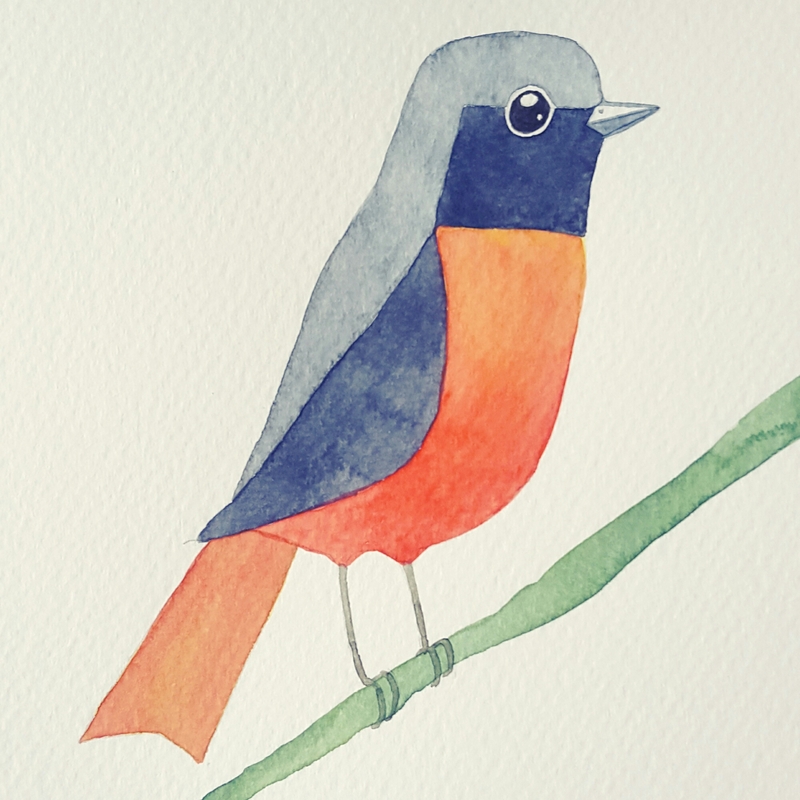 One of the students brought a book, “Our Garden Birds” by Matt Sewell, to class today as she wanted to paint whimsical birds. This was one example that I demonstrated to them how to paint. By their 3rd session with me, every student will already have enough knowledge of watercolors to paint what they want. Session 4 is really about being able to deconstruct something they see and then putting everything together again in their own way.